If you are in the market for a good used car, chances are good that you have heard of the deal that so many dealers offer: have your mechanic check the car out before you buy. Did you ever wonder how many potential buyers ever took them up on their offer? Chances are good that it’s not too many. Why? How many mechanics really want to take the time and trouble to look at a car that they won’t make money on repairing? And chances also pretty good that most dealers know you won’t go through the trouble of finding a mechanic to check your possible purchase out, which means that you could very easily get a lemon. Imagine the surprise your dealer will get the next time he offers to let your mechanic look over a car that you are considering buying…and you show up with him. 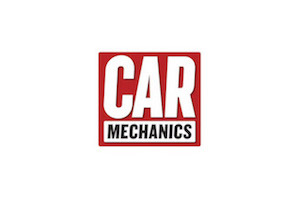 At Geek Mechanics, we want every deal you get involved in to go smoothly so that not only will you get the best possible deal, but we will make sure that what a dealer promises you will be what you get. That’s why we will take an active part in any purchase you propose to make with a used car dealer. In fact, used car buying checks are a specialty of ours. Our experience as auto mechanics allows us to know virtually everything there is to know about a car, so when your dealer proposes to tell you something that isn’t quite up to snuff, we will let you know about it. Further, we will tell you–and him–when we don’t think that a car a dealer is proposing to sell you is worth what they are asking. Not only that, but we will tell you what issues we think a car has, and if you still want it how much it will take to bring it to good working order. The next time you want to buy a used car, call Geek Mechanics. We will take the time to give good used car buying checks because not only do we know cars inside and out, but we’re geeks, and we can’t get dates to save our souls. As a result, our time is better spent helping you to find a good used car deal. Bring us along the next time you want to check out a used car. You’ll find that we are better than having a date.